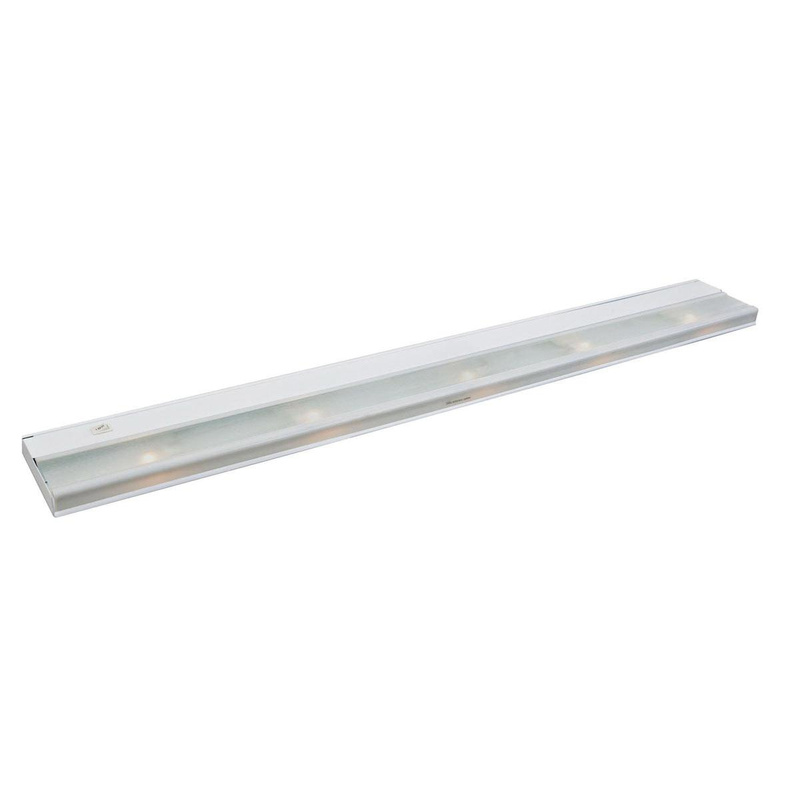 Kichler Low V Xenon Collection Task Work Direct wire undercabinet fixture in white finish, features steel construction. Frosted glass shade brings elegance to the home. This utility fixture employs five 18-Watt Xenon lamps that feature average life of 10000 hours. Lamp has color rendering index of 100 and color temperature of 2700K. Lamp with wedge T5 socket, has voltage rating of 12-Volts. It measures 40-Inch x 5-Inch x 1-Inch. Back mountable undercabinet fixture with high/low/ON-OFF switch, offers simple installation for illuminating task area. It comes with NM/BX single cable connector. Undercabinet fixture is UL listed and CSA certified.